These shoes were an impulse buy at Kmart! I decided to paint my current Pokémon team on them for a personal touch. 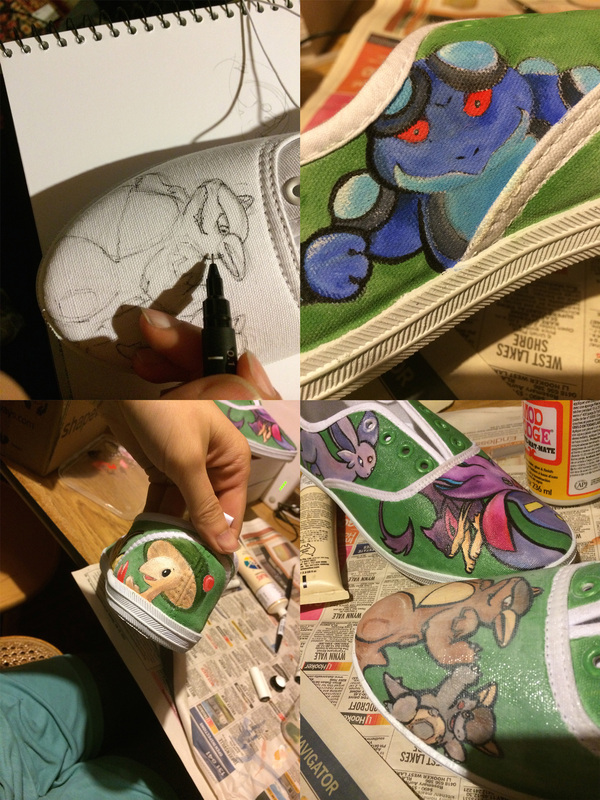 I started by deciding which shoe each Pokémon would feature on, then sketched each one individually in my sketchbook before transferring the sketch onto the shoe with pencil. Initially when painting the shoes I used masking tape over the areas of the shoe to keep the white borders of the shoe clean of paint. As I continued and got more confident with the painting I stopped masking these areas and instead painted carefully around them. I painted each Pokémon separately. 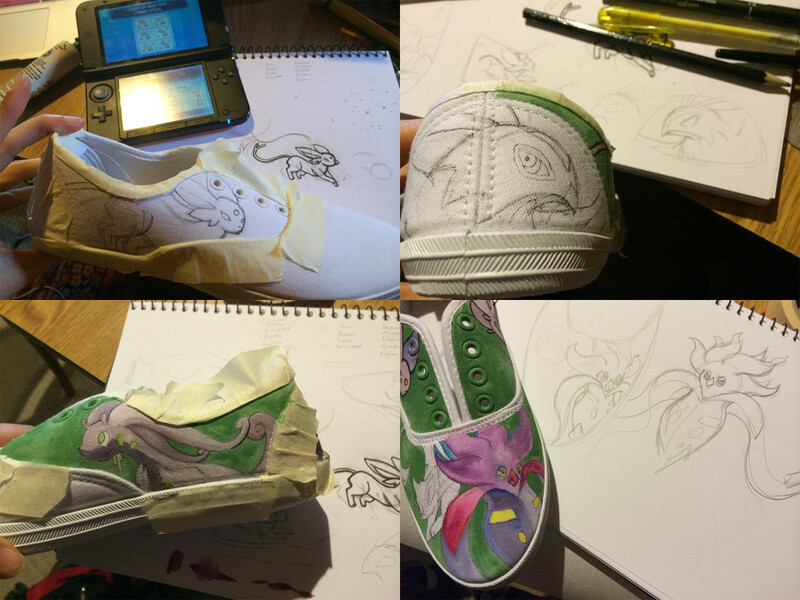 Here you can see some different steps in the process – on Kangaskhan I’m putting down some fine guidelines. After doing the guidelines I painted in the colours of each Pokémon with acrylic paint. Once I’m done with the colours and shading, I put down thicker ink lines. 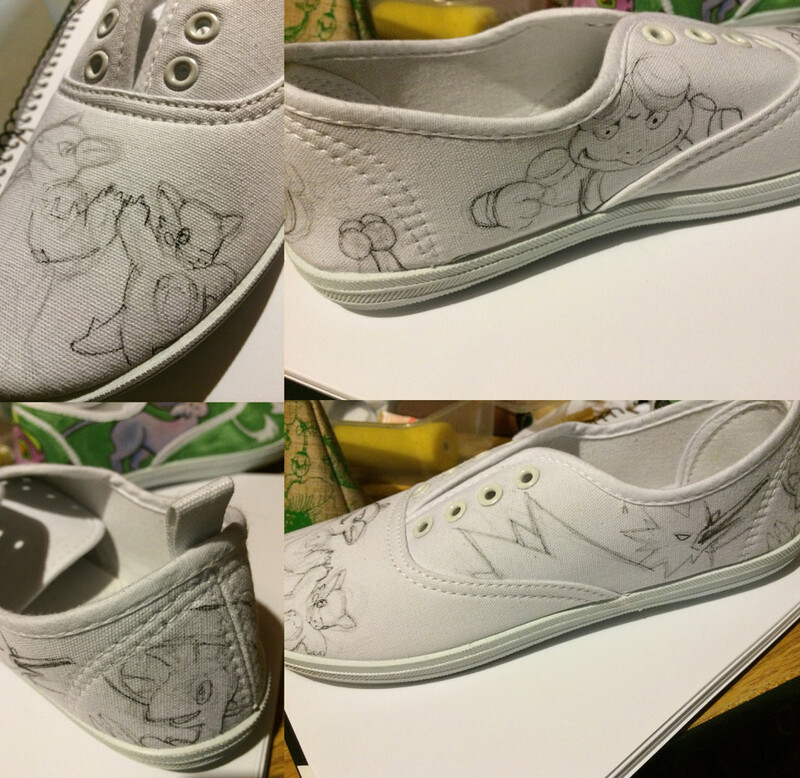 Finally, I sealed the shoes with a couple of coats of Mod Podge. 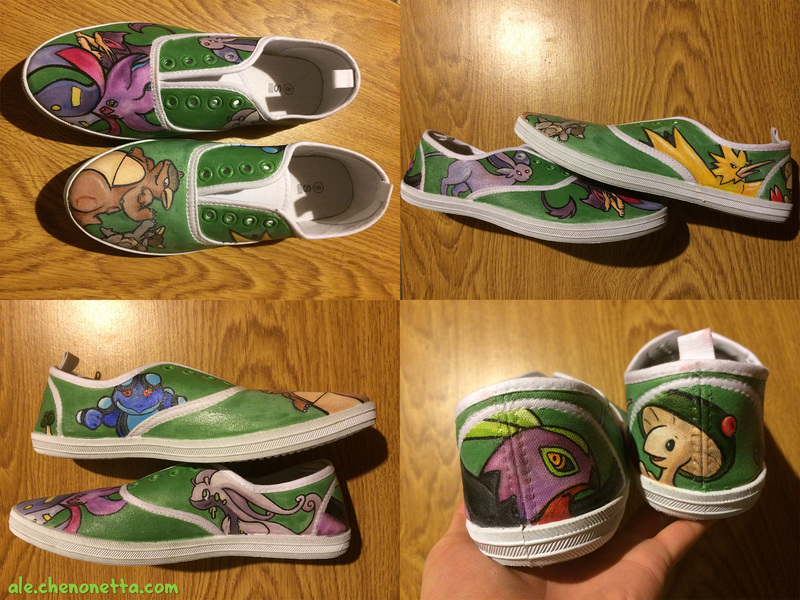 Here are the completed shoes! I’m quite happy with the way they’ve come out. 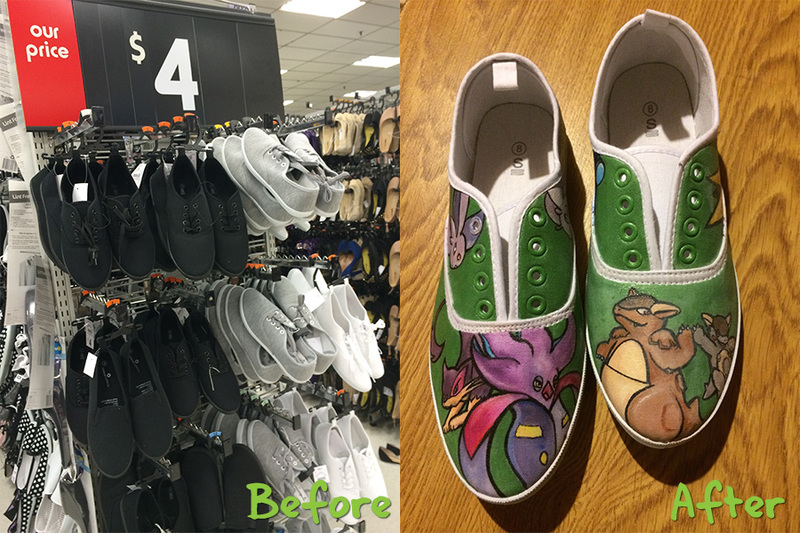 I’ve since trained up a Nidoking; I’ll have to add him to the tongue of one of the shoes!